I was poking around on Twitter today and someone had remarked how January 23, 2012 starts the Year of the Dragon in Chinese Astrology and I immediately perked up. You see, I was born in the Year of the Dragon (no I’m not going to tell you what year), so I have a soft spot for those years. If you’re not familiar, the Chinese zodiac consists of 12 animal signs that represent 12 different types of personality. Each sign is associated with a full year, and represent what others perceive you as being or how you present yourself. Those qualities can determine how a year goes for people. So what’s the Dragon like? The Dragon is a creature of myth and legend. 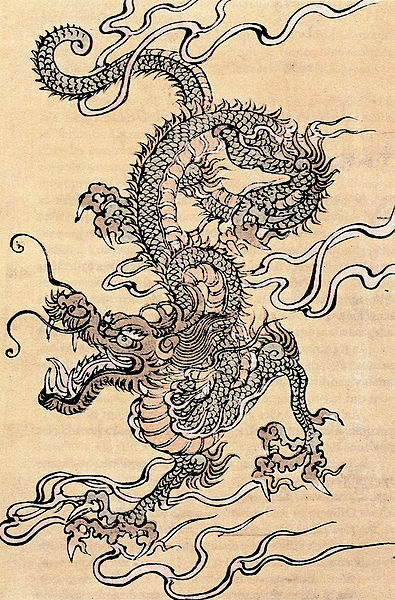 A symbol of good fortune and sign of intense power, the Oriental Dragon is regarded as a divine beast – the reverse of the malicious monster that Westerners felt necessary to find and slay. In Eastern philosophy, the Dragon is said to be a deliverer of good fortune and a master of authority. Therefore, those people born in Dragon years are to be honored and respected. But the thing that made me really chuckle is that I’m just starting to query my YA Novel, Time Bound. And you guessed it…it’s about a DRAGON! Interesting coincidence, don’t you think? I’m hoping this means good things for me and my little manuscript. The book I’m working on has a dragon-like creature–well, it’s really more of a giant snake. No fire, wings, or claws. What blog software do you use? I’m using WordPress for the site. I used to be on blogger, but I just didn’t care for it. This is so obviously the universe sending you a humungo billboard-sized sign. I can’t believe you’re querying now and I didn’t know! Arggghhh I’m a horrible CP for not finishing (I just realized) I’m so sorry got so slammed with my last work season. And I had no idea you’re a dragon – that’s why we get along. I LOVE dragon women. You MUST email me and keep me posted on your progress!